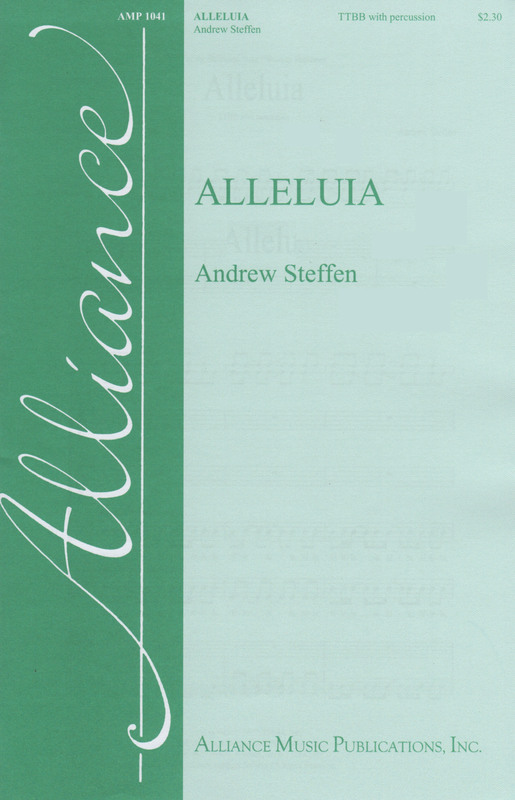 Alleluia is an expression of ineffable, overwhelming emotion. At times, we are rendered speechless and cannot express our true feelings. The word “alleluia” showcases the spectrum of emotions that encapsulate joy, ecstasy, and exaltation. Right from the start, the rhythmic energy of the piece - in tandem with the percussion - emote a mounting and controlled exuberant expression. Articulation is critical to conveying the style and aesthetic of the work. Performers are encouraged to sing with a light, bright tone that easily facilitates the syncopation and registration throughout the work. Percussion note: A drum with a deep sound (ie. djembe), whose pitch is distant from the key of the work is preferred, so the ensemble does not gravitate towards the pitch of the drum.